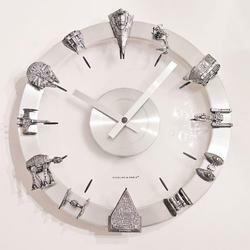 No doubt, it’s a must-have Star Wars clock as a huge fan of Star Wars. 12 hours, 12 different models, you will feel the force from Star Wars at any time. 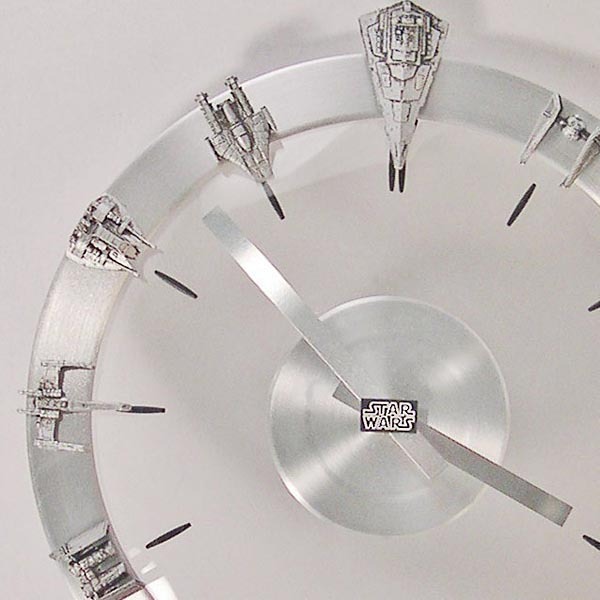 As we can see, it’s a well-designed clear and chrome clock themed by Star Wars. 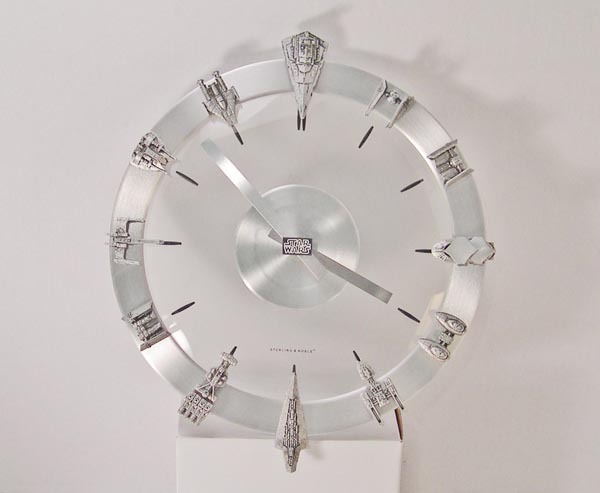 The whole clock measures about 13.25 inches. 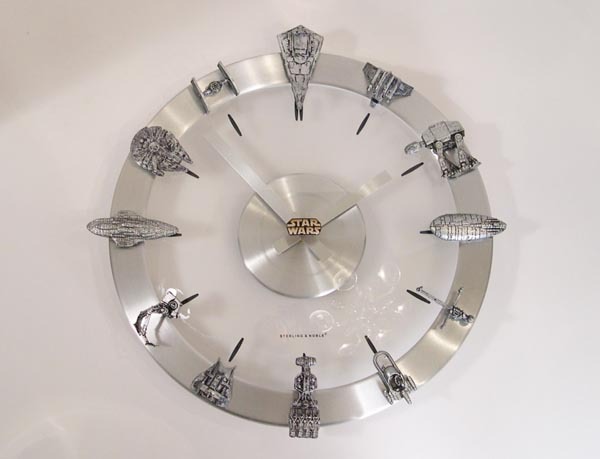 The most important feature is the twelve unique Star Wars models that replace the traditional numbers. From the images, we can find out those familiar spaceships and vehicles in Star Wars such as AT-AT, AT-ST, Millennium Falcon, X-wing fighter, Imperial Star Destroyer, TIE fighter, and etc. You also can ask the creator to change different spaceships or vehicles according to your preferences. 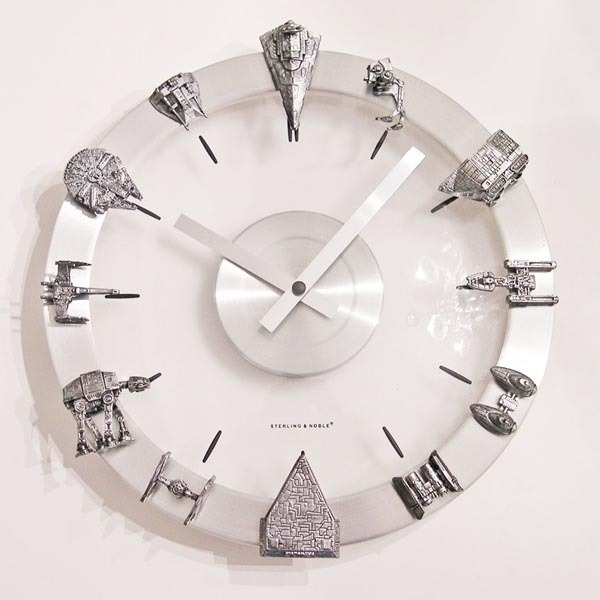 The Star Wars vehicles and starships clock is priced at 89.99 USD. If you’re interested, jump to Etsy for more details. Update: It seems the clock has been unavailable. The creator deleted the link. The only way to visit the original page is to check the cached page. 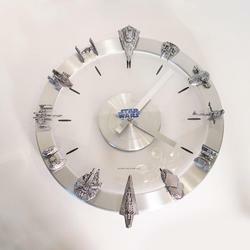 Update 2: New Star Wars clock has been added. Jump to Etsy for more details. Additionally, if you like the vehicles in Star Wars, don’t ever miss the Darth Vader’s TIE advance x1 fighter, the mini Star Wars spaceships. Of course, you also can make them by yourself.